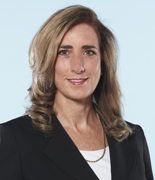 Jeanne Craig is a partner whose practice involves the defence of municipalities, school boards and police forces in civil actions, other insurance defence matters and motor vehicle litigation. She has appeared as counsel before the Superior Court of Justice, the Court of Appeal and at inquests. Canadian Bar Association, Advocates’ Society, Metropolitan Toronto Lawyers Association.